Pictured, from left, from Tippecanoe Valley School are Allison Holstein, Ruth Aguilar, Courtney Combs, Nichole Peconga, Monika Marshall, Erika Jimenez. The group is spending the day shopping for prom, making CCS their first stop to find a dress. 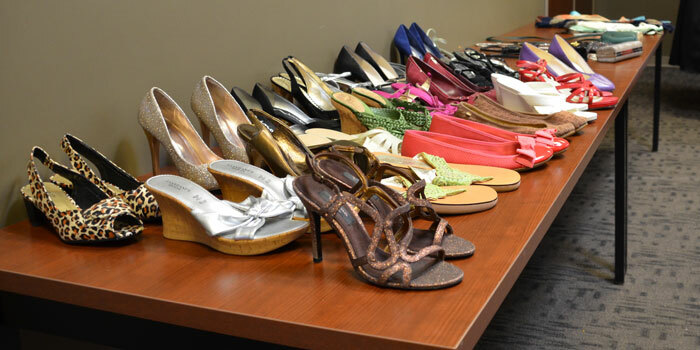 WARSAW — Today, April 8, was the official day for Combined Community Service’s 10th annual Glass Slipper. The event aims at helping Kosciusko girls going to prom find their dream dresses without the concern of high costs. 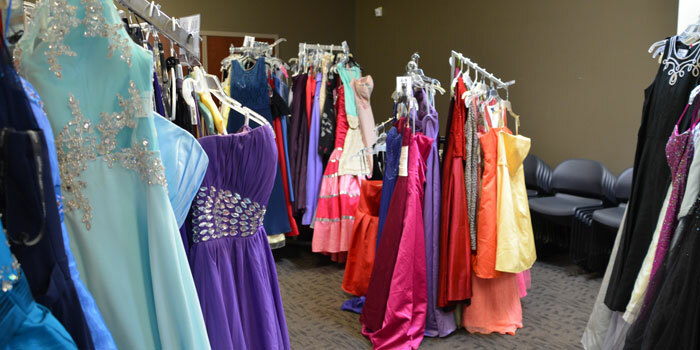 CCS collects donated prom dresses, shoes and accessories throughout the year to be able to offer Kosciusko students the opportunity to go to prom when they might not otherwise have the chance. Prom holds a certain rite of passage for high schoolers across the country, potentially leaving those who can’t afford it left out. By providing a dress, as well as hair and make-up, CCS hopes to lift the financial pressure and give girls their dream night. Fifteen ladies pre-registered for this year’s event, all of which showed up before 2 p.m. “I can’t believe it happened so fast and everything was done within an hour!” commented Lindsay Rex, the CCS coordinator for the event. The event’s first year attracted 40 people and the donations have only increased since then. Despite only 15 people pre-registering, Rex was confident that number will double by the end of the week as CCS will continue to provide dresses to girls who walk-in. “At this point, any one can come look through the dresses…We’ll keep them out until the last prom,” Rex stated. Unclaimed dresses are kept in storage until the next year’s event. CCS attempts to make the day as glamorous as possible, with volunteers present to assist with finding and fitting a dress, and with cookies and punch as refreshments. 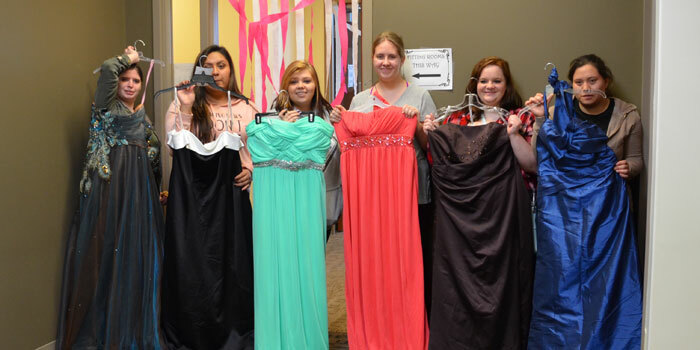 In the past 10 years, CCS has given away 847 prom dresses, as well as dresses for non-prom events. While girls are welcome to keep their dresses, many give them back to continue a chain of giving. Glass Slipper also provides restaurant gift cards, but unfortunately did not receive enough this year to give every participant one. Instead, they will hold a raffle for girls who were pre-registered to give the gift cards away. Some restaurants will also be offering a limited menu in lieu of a gift card. Professional hair and makeup are offered for WCHS students the night of prom; if you would like to coordinate something for your school or if you are a professional who wants to volunteer your services, contact Rex. CCS is currently looking for restaurant gift cards and florist donations for boutonnieres and corsages. Monetary donations are always appreciated and will be used to provide gift cards if not enough are donated. The donation of suits and dress shoes is also encouraged. Dresses and other goods can be dropped off at Combined Community Services at 1195 Mariners Dr., Warsaw. If you would like more information, donate or volunteer your time, contact Lindsay Rex at [email protected] or (574) 269-6019 x230. Besides dresses, CCS offers shoes, jewelry and clutches. Plenty of dresses are still available for the taking!